This was the "What Color is the Dress" of 2018. Except it was bigger. I told myself I wasn't going to get involved when I started seeing it shared everywhere, but I couldn't help it. And apparently either could anyone else. Which side were you: Did you hear "Yanny" or "Laurel"? There was a meme going around (about a month ago) that said something about 2018 being so long everyone forgot the Winter Olympics were this year. NO WAY!! I completely forgot. Did you?? This is one of the parts of 2018 we want to forget about. Probably good we already did (and too bad I'm bringing it back up). Remember when people were eating tide pods as an "internet challenge"? I thought there was no way this type of "challenge" would catch on - It's just too stupid... Apparently, I was wrong though, because there was actually a rise in teenagers and young adults going to the hospital because of this. That should have been the moment we gave up on 2018. Did you realize the movie "Black Panther" came out this year? It hit theaters on February 16th. Why does it feel like the movie has been out for years?? It doesn't take much to get the internet into a frenzy, does it? Remember when IHOP changed their name to IHOB to promote their burgers?! That was this past summer. And everyone went crazy! There were some great responses on Twitter, though. Some people took this moment to crack jokes, and others took it WAYYYY too seriously. It was like a month later they announced their name was going back to IHOP and it was only a temporary thing. Of course, a lot more has happened this year, and a lot more "news-worthy" things, but these are just some of the events that actually shocked me. Everything on this list feels like it was SO long ago, and to know it happened in 2018?! Well, it just seems so odd. What about you? What happened this year that you forgot actually happened in 2018? Maybe it's something you just forgot happened altogether or maybe it's something that feels like it happened 3 years ago, or five years ago? Let us know! 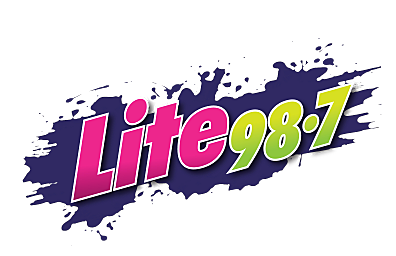 You can always leave us a comment or shoot us a message on our Lite 98.7 Facebook Page.